Not sure what to do with that pumpkin flesh after scooping it all out for your Jack-o-lantern? 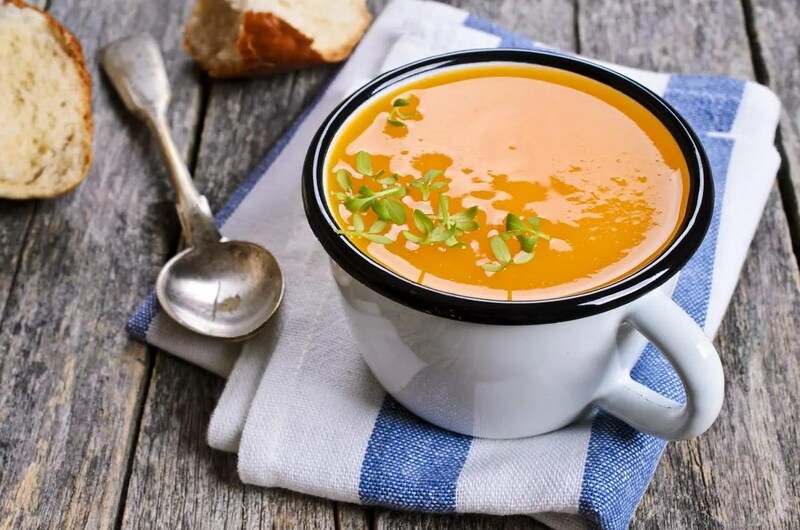 Use it to make Grandma’s Pumpkin Soup of course! Or try one of the other pumpkin recipes on my blog! Place your pumpkin, carrots and onions in a roasting tin. Drizzle with olive oil. Bake in a preheated oven for 40 minutes, until soft but not charred. In the meantime place the water and crumbled stock cubes into a large saucepan and using a medium heat, bring to the boil. Cook the potato in simmering water, for about 20 minutes until soft. Add the potato and water mix to the roasted vegetables and blend in a food processor until smooth. Return to pan and place on a low heat stirring in cream, nutmeg, pepper and salt. 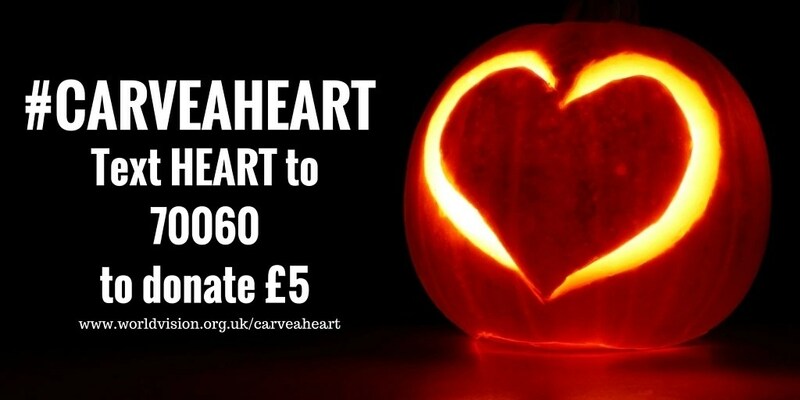 Read more about #carveaheart here on my blog, and on the World Vision website. This is a charity donation service for World Vision UK. Texts cost £5 plus your standard network rate message. World Vision will receive 100% of your donation. If you have a question about your payment call 0203 287 7863. If you would prefer we didn’t contact you again in future, text NOCOMMS WORLD VISION to 70060. Charity no England and Wales (no 285908).